Please join us on 25 August 2018, 10am - 5pm for our 10th annual Gray/Blue BBQ at Gator Beach, Naval Amphibious Base, Coronado! Hot dogs and burgers will be provided by the Camp. Please bring a side dish or snacks to share and a folding chair. You may bring beer or soda, but no glass bottles allowed. 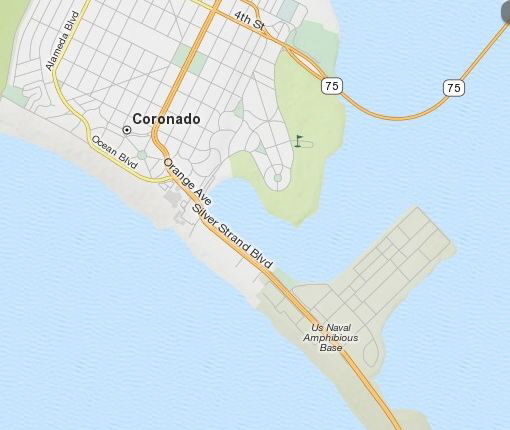 From the Silver Strand (Silver Strand Blvd aka CA-75) on Coronado Island, turn West (toward the ocean) on Tarawa Road traffic light and proceed to the guard shack. After being cleared to enter, proceed straight ahead and then turn right and keep going until you reach the cabanas...our is #6. NOTE: If you do not have military or DOD ID, then you must RSVP with Roy Adair no later than August 13 so that you can be placed on a guest list! Failure to do so could keep you from being cleared through the gate. Also, everyone in your car should have a photo ID and there should be registration and proof of insurance available You can e-mail Roy at <roy-adair@att.net> or call at 619-203-1504.